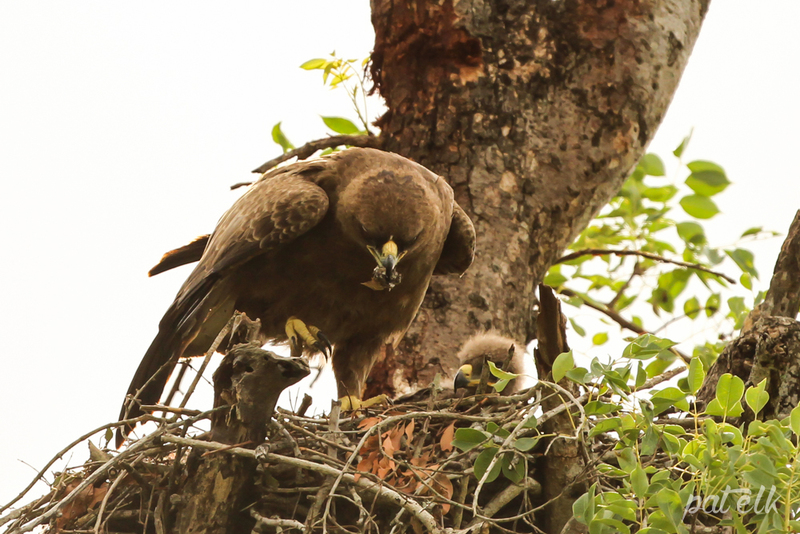 The Wahlberg’s Eagle (Afrikaans name, Bruinarend) is a fairly small eagle, it is a common intra-Africa migrant, breeding here. We watched this Wahlberg’s Eagle sitting in a tree and getting really irritated at a bird that was continuously dive-bombing him. The bird that was dive-bombing him turned out to be the Fork-tailed Drongo. Not too far off from this eagle we caught sight of an adult with a chick in the tall tree nearby. This adult was feeding what looked to be a single chick in the nest. 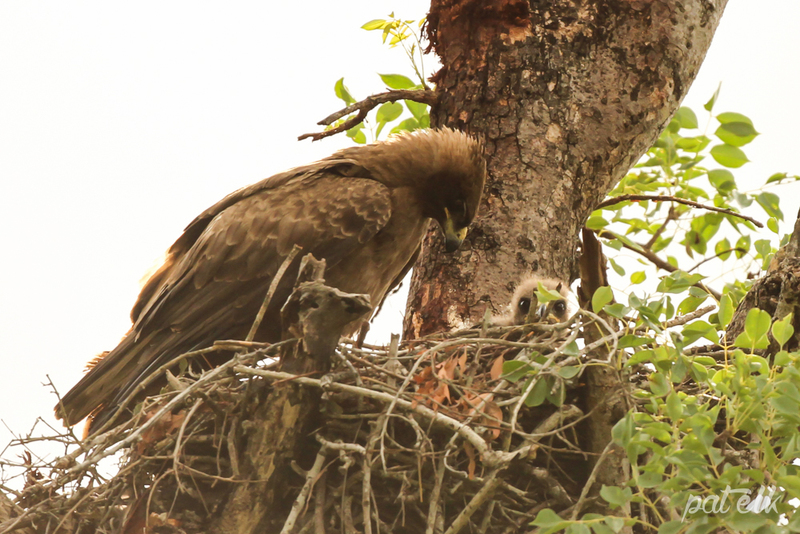 Wahlberg’s Eagles return to the same nest every year. We were lucky to see these encounters in the Kruger National Park.